This 2 bedroom townhouse is located on a quiet street. This Unit- C.has 2 bedrooms and a private outside space.. Each unit has parking for 2 cars. It is a 3 minute walk to Footbridge Beach. Ogunquit trolley- which can take you down town and to perkins cove, passes close to house. Nicely furnished, recently renovated, has all amenities and includes a backyard patio, gas grill, cable television, washer dryer, dishwasher, microwave.. WiFi Comfortable, Linens, pillows, towels, bedding not supplied. Other rental unit is available Owner challenged by calendar . Beautiful Footbridge end of Ogunquit Beach: Unique property for multi-family, multi-generational reunions. Enjoy your awesome summer vacation, townehouse is a 3 minute walk to the beach. Your hosts Bill Dufour & Jan Griffin purchased the home in 1996 have made it a labor of love pouring our time and energy to bring the home to where it is today. Ogunquit Beach lives up to the name the Indians bestowed upon it.Ogunquit means 'Beautiful place by the sea. I spent a week at this sweet beach home with my husband, 4-year old daugther and mom in July. We walked to the beach in 5 minutes. We truly enjoyed the private patio, beautifully landscaped and furnished with lounge chairs, fire pit, dining area and grill. Jan and Bill are great hosts and we had a wonderful time! Renting during the month of September was a great experience here in Maine. We loved this beautiful house very close to the beach.Our unit was perfect and very clean. I have stayed in all of the 3 rental units in this house over past years. It is always a great experience and we consider this house to be our home away from home. Perfect location close to beach. The units are always very clean. My family has enjoyed many wonderful cook outs here in the backyard spaces. We love renting here every Labor Day weekend. Beautiful spot and the units are always so clean. This is the 4th year that we are renting this place for Momorial Day weekend. The house is perfect, the kids love being so close to the beach, my wife loves the furnishing and I am happy to be able to grill dinners outside on the backyard patio. Location, location, location - so convenient to a beautiful beach, great restaurants and activities. Park the car and walk or take the trolley to Wells, Perkins Cove or just to the Village. Clean, cozy and comfortably furnished with all the amenities. 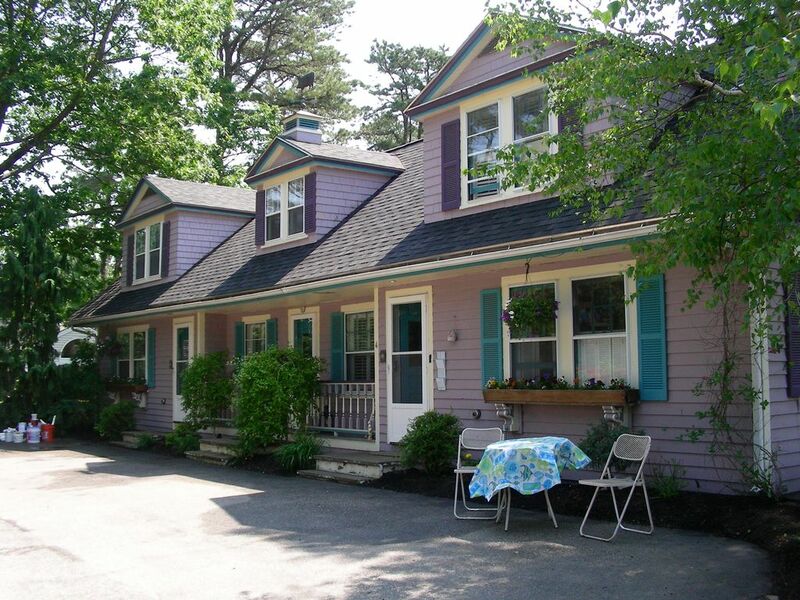 Footbridge Beach area with restaurants and shopping and easy walk to trolley to picturesque Ogunquit Village. Visit the historic Marginal Way and walk to Perkins Cove. Have lunch by the ocean, visit art galleries and gift shops and experience deep sea fishing, whale watching and sailing. Visit the historic fishing houses and docks of Perkins Cove and the Ogunquit Museum of American Art.